When you have an allergy or condition such as coeliac disease, going out for dinner – something that should be effortless fun – can seem like a bit of a chore. You have to be more selective about what you order and, in some cases, you have to rule out certain function venues gold coast. The good news is your special dietary requirements don’t have to ruin your night out. Here are some ideas about staying safe while still enjoying yourself when going out to dinner. You might be surprised by just how many people have allergies – the numbers are on the rise. On top of the most well-known allergies (e.g. peanuts, onion, garlic, wheat, dairy), some people have intolerances to more niche food items, such as preservatives or specific fruits. Whether or not you yourself have an allergy, it’s important to be aware of any conditions the friends you’re dining with have. This way, you can take extra care with your own food if necessary and make a considerate choice regarding where to dine. Most broadbeach restaurants and cafés have their menu on their website (like we do!). Use this to your advantage and ensure you’re booking dinner at a place that can cater towards your dietary needs. If you can’t be sure from the venue’s website, call ahead to double check. Here at Sage Café, we’re sensitive to the various requirements of people with allergies, which is why we go out of our way to ensure your dining experience is both enjoyable and safe. Even though our menu includes helpful details such as ‘gluten free’, don’t assume that a certain dish is unavailable to you just because it contains an ingredient you can’t eat. Our staff will always do what they can to assist you, so speak to the manager or chef about adjusting your meal to suit your requirements. We can be quite flexible when needed! If you’re looking for an excellent night out at a venue that will take care of your tastebuds (as well as your dietary needs), you can’t go past Sage. Contact us today to make a booking. Have you ever gone to a flea market and seen the sign for clothing “One Size Fits All”? Of course it doesn’t fit all and we all know it. When Henry Ford first rolled out the Model T Ford in 1908 he said people could have these new cars in any colour they liked, so long as it was black. Have you ever booked a venue only to find out that it doesn’t fit or it’s not what you thought? It’s that T-shirt that is too tight or too loose, even though it was advertised to fit everyone. At Sage we are committed to listening to you and tailor making a function to meet your needs. At Sage, our venue can comfortably seat up to 140 guests for a meal, or we could host your next cocktail party for up to 180. Great value group menus start at a little as $35 per person for a plated dinner, and $15 per person for cocktail canapés. Sip your favourite wine or try a new cocktail whilst some delicious nibbles, tapas broadbeach or finger foods are circulating to your guests who are engaged lively conversation around our newly renovated bar. With both our bar and restaurant, as well as two distinct sections, our venue offers plenty of options to create your bespoke event. At Sage, our desire is to work with you to produce the very best of functions for your organisation, whether it be your staff Christmas party, business networking group, a family celebration or a fundraiser for your favourite charity. As a function venue broadbeach its our priority is to provide you with a great environment and great food, so that you all you have to do is focus on your guests, networking and your core business, whilst we take care of the hospitality. Don’t sell your clients and guests a one size fits all function, but contact us today and organise your next event which we will taylor make for you and your organisation. On Tuesday, 3rd November, our nation will once again stop what we are doing, turn to the nearest TV screen, and watch the very best thoroughbreds race for two miles in the world’s richest handicap race. Our Melbourne Cup. Maybe you have a tradition or two you bring to Cup Day? It could be an annual flutter, to buying a new hat, taking a fashion risk, putting a couple of dollars in the office sweeps or simply closing the office early. Most of all, Melbourne Cup is a day to be enjoyed with others. It’s the day in the year when we all become experts in the “sport of kings”. We will share our picks for the race and recount the heroic feats of past winners. There will be a glass or two raised in memory of the late Bart Cummings, the trifecta of wins by the mighty mare Makybe Diva will no doubt be remembered, and there will be talk about the fashions on the field. Like other functions gold coast there will be great food and wine, lots of laughter and the company of friends. This is Melbourne Cup Day. In his visit to the Melbourne Cup in 1895 Mark Twain is reported to have wrote: “The grandstands make a brilliant and wonderful spectacle, a delirium of colour, a vision of beauty. The champagne flows, everybody is vivacious, excited, happy; everybody bets …” Little has changed from the time Twain wrote this. Melbourne Cup is, and has always been more than a horse race. It’s a spectacle to be savoured with friends and colleagues. As other broadbeach restaurants our relaxed environment, friendly staff, as well as our great food and wine mean that all you need focus on this Melbourne Cup is celebrating. At Sage, we invite you to book your table today and start a new tradition by joining us to celebrate the race that stops the nation. Nobody’s immune to the nerves that come with a first date! Will it be a magical evening filled with sparks flying? Or an awkward disaster? It all depends on a few key things, including the setting, the mood, and how well you and your date get along. While we can’t help you out with creating chemistry, we do have some ideas for giving your first date the best chances of success. Here are our top five tips. If the venue is up to you, opt for a local café or restaurant that you frequent regularly. The familiar setting and staff will help you stay comfortable – hopefully calming those butterflies in your stomach! You’ll also know the best items on the menu, so you can ensure both you and your date have a delicious dish to keep the mood cheerful. As party venues gold coast we love serving people on dates. 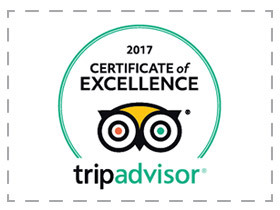 We like to think our friendly atmosphere and scrumptious food have helped many first dates blossom into proper romances. You might think it’s old fashioned to get dressed up for a first date, but hear us out. Putting on your best clothes and doing your hair nicely isn’t just about looking fancy; it’s about telling your date that you’ve put effort and time into spending this evening with them. Plus, it doesn’t hurt to make a good first impression! Talking about your passions or sharing personal stories will give your date an insight into the real you. Discussing topics and tales that are meaningful to you will also ensure your dialogue feels natural and is full of positive energy. And if you run out of things to say (or feel like you’re dominating the conversation), it’s definitely time to ask questions. Find out beforehand some of your date’s interests and hobbies so you can prepare the ideal activity to do together once your bellies are full. If your date loves action films, you might see the latest Marvel movie. If they like stargazing, you could walk to the beach and lie on the sand, looking up at the night sky. Choose a traditional date activity or think outside the square – it’s up to you! Most importantly, be honest and open about yourself during the date. Let them see the awesome, unique individual you are so you can hit it off straight away. And if your personalities don’t blend so well? Never mind! Better to find out on the first date than several months later. Looking for a café or best restaurant in broadbeach check out our menus right now or make a booking. We’ll set the perfect mood for your romantic evening. Hen’s nights are notorious for being a little bit cheeky and a whole lot of fun. It’s meant to be a girls’ night to remember, after all! If you’ve never organised a hen’s party before, you might think it sounds like a piece of cake, but for those of you who have, you’ll know just how challenging it is to bring together a bunch of the bride’s besties – all on the same day. And that’s before you have to worry about the venue, games, food and drinks. That’s why, at Sage Café Restaurant, we want to take the pressure off and help you pull off a celebration of the bride-to-be that all her friends will be raving about for years to come. At Sage, we tailor our packages to meet your party’s needs. With best tapas and pizza shops broadbeach there’s bound to be something to satisfy everyone’s taste buds. Our dinner packages start from only $35 per person for a delicious two-course meal. Alternatively, we offer canapé packages for cocktail parties (see our function menu). If you like, we can even bring the food to you – we can arrange catering at your chosen location. This game is a great starter to help everyone to get to know each other better. The girls sit in a circle. It starts with one person saying, “I never…” Each person finishes the sentence with something they have never done. For example, “I’ve never gone skinny dipping” or “I’ve never lied about my weight”. If anyone has, then they must take a sip of their drink! The game doesn’t finish until everyone has had a turn – although it’s fun to play a few rounds. This is a game that sends the hen and her best friends on a scavenger hunt for different items to collect and tasks to complete! How about finding a willing male to serenade the hen with a love song or kissing bald man’s head? Make sure you have a camera handy to “capture” the moment – the pictures make for an album of memories! Take a white t-shirt and write the word BRIDE on it. In smaller lettering, each girl writes the name of a different guy. The bride must go up to men and ask them if they can find their name on he shirt. She must then get them to sign the shirt as proof. The object is to get all of the names signed off. For every name the hen misses, she must have a drink! For fun, you can throw in some toughies – like ‘Dudley’ or ‘Vernon’ – why not? Have other ideas? Let us know. Our staff love helping out with games and making a hen’s night the best experience for the bride-to-be. Need some more help planning your bestie’s hen’s night? My Ultimate Hens offers a range of packages on the Gold Coast, no matter what your hen’s style – from a sassy celebration, to an adrenaline-filled weekend, burlesque inspired or simply a chic pamper weekend – they’ve got it all. That’s why they’ve teamed up with us to organise the best party venues and gold coast restaurant dinner for your hen’s night. You’ll be doing all of the hard work before the event – so let us take care of the night. To reward you, as the organiser, for putting in the hard yards for your bestie, we give you a $100 voucher to spend on a massage or pampering session at ESab Skin and Beauty Clinic in Bundall – so you can put your feet up and relax even after the night is over! 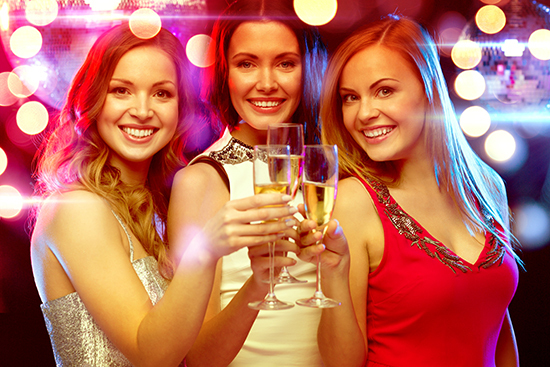 Contact us today, to see how we can help you organise the ultimate girls’ night out. Mesmerising music. Amazing atmosphere. An iconic Aussie event. 2015’s Blues on Broadbeach Music Festival is just around the corner. The ever-popular and free festival will be lighting up the streets and venues of Broadbeach from May 21 to 24 – four days that promise to be filled with irresistible tunes and positive vibes. The exciting event will feature numerous acclaimed acts this year, including Andrew Strong, Ash Grunwald, James Morrison and The Black Sorrows. It will be impossible to walk anywhere near Surf Parade without hearing the catchy chords and stirring lyrics that blues music is known for. The festival has always struck a wonderful balance between providing a platform for local talent and inviting international musicians to produce a truly unique and spectacular event. Other performers to look forward to include Jeff Lang, Backsliders, Tijuana Cartel, Fiona Boyes and Ray Beadle. Whether you’re a lifelong blues lover who knows all of these artists or simply an appreciator of good music in general, you’re sure to enjoy every minute you spend on pizza broadbeach. Even if you don’t have a particular passion for music, you’ll have a hard time resisting the infectious vibes of the festival. The fresh ocean breeze, the laidback environment, the cafés and restaurants bursting with friendly faces and delicious food… there’s little wonder thousands upon thousands of people come back year after year for Blues on Broadbeach. As always, Sage Café Restaurant and Pizzeria is proud to contribute to the enchanting ambience of the Broadbeach precinct during this festival. With our prime location right on the doorstep of the main stage, we provide the perfect place from which to soak in the sounds and vibes. Don’t miss out on our sharing plates and bucket of beer/cider specials; we make it easy to sit back and enjoy the music. We also serve scrumptious gourmet pizzas and the best tapas gold coast has to offer, so drop by anytime for a satisfying meal between performances. Our a la carte menu has something for everyone. We hope you have a wonderful time at the Blues on Broadbeach Music Festival!